It is not often that a football club can boast of rich history, heritage, and tradition, but Hemel Hempstead Town FC is one of the very few clubs that can legitimately claim to be as old as the game itself. Conceived in 1885 as Apsley End, the club has undergone numerous changes over many decades of its existence, with its most recent iteration enjoying a significant presence in the National League South. Hemel Hempstead Town FC is the result of numerous mergers and name changes, with the club taking the overall honours in several league championships. Its current name was assigned in 1999, but there were significant changes in 1955 and 1971. The club was officially renamed to Hemel Hempstead Town in 1955, but in 1971, they merged with Hemel Hempstead United and came to be known as Hemel Hempstead Football Club. Regardless, the change in 1999 continues to hold ground until the present day. 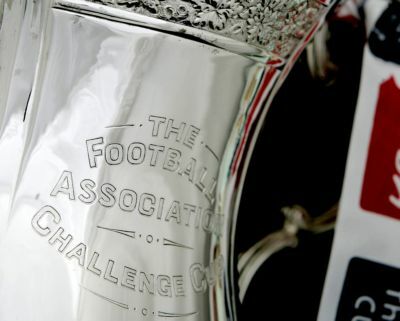 Although the team has reached the playoffs on multiple occasions in recent times, even reaching the first round of the FA Cup, the club has yet to make a mark in the major leagues. The FC is unofficially known as ‘The Tudors,’ and their official ground is located at Vauxhall Road in Hemel Hempstead. It is indeed a far cry from their humble beginnings at Salmon Meadow in Apsley, with several grounds hosting the club for their home matches over the years. The team’s most recent historical moment came in 2013-14 when the club went on to clinch the Southern League Premier Division Championship. Ever since the team has been performing exceptionally well by qualifying for playoffs consistently and earning the fifth spot in the league standings in 2017-18. 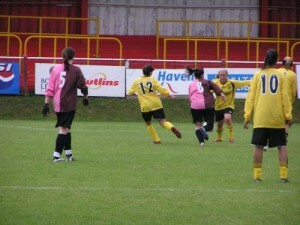 Hemel have recently installed Martin Bradshaw as youth team manager and are now looking for new players to join him. Hemel Town have recently created a new structure to allow talent to break through into the newly created capital league team and our first team, so it is an exciting time for young players wishing to play at a higher standard of football. Those interested in playing can turn up at training on Thursdays at 7:00 at the Vauxhall Road ground. For the 2007/08 Season, Hemel Hempstead Town Fc are looking for matchday stwards on our first team matchdays free entry for all who take up the oppurtunity also. ThE reds this afternoon were draw out of the hat at number 45 and face Chelmsford City in the 2nd qualifying rnd of the The FA Cup sponsored by E.on. Chelmsford defeated Burnham Ramblers 5-0 to set up the tie with the Tudors who in turn defeated East Thurrock United 4-0 also on Saturday. The Tie will be played at The Vauxhall Road Stadium on Saturday 29th September 2007 at 3pm. The Tudors Capital team went bottom of the Western division with a defeat at Northwood. It was a disappointing first half, when the Reds went behind early on and the home sides lead was doubled when Goalkeeper Luke O’Connell’s pass was intercepted, forcing Luke to scramble towards goal, narrowly missing the shot. A further two goals meant that the reds faced a tough task to get into the game in the second half. Hemel came out fighting and had early changes but were unable to convert them. The Reds side featured a number of first team players including Chris Wild, Leon Hibbert and Fabio Valenti, amongst several youth players called upon at short notice, which impressed manager Kevin England. Mukuka Kapilikisha also produced a good performance on his debut. The Capital team will next be in action on 10th October when they travel to Croydon Athletic, situated just three places above the Reds, please note the next Wednesday’s scheduled game against Borehamwood is now off and will be played at a later date. The ladies produce a fine display against a very strong Daggers side but unfortunalty go down to a second half strike to bow out of the FA Cup for another year. The reds playing their 2nd competitve game of the season were good value going into the breat honours even and had 2 guit edge chances to win the tie but the luck disserted the reds this afternoon but Manager Neil Townsend will be delighted by the way the ladies performed in the tie. The reds progress on through the cup after defeating Ryman Premier East Thurrock United at Vauxhall Road this afternoon. The Tudors opened the scoring in the 35 minute with Ollie Burgess’ first of two strikes of the afternoon. The Tudors made sure of the win with a Roberts thunderbolt and a Sinclair neat close range finish. Hemelhempsteadtownfc.com can exclusively reveal Goalkeeper Steve Smith has signed for Aylesbury Vale for a nominal fee to secure regular football. Managers Steve Bateman & Danny Nicholls have reluctantly let him go but wish Steve all the best in the future. 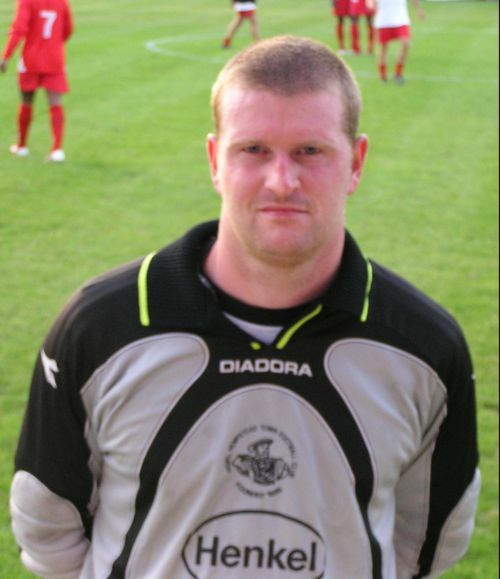 Steve was a key part of the Tudors 2005/06 promotion team and last season, helping the Reds to reach the SPD play-offs. Chris Wild has also been loaned to Barton Rovers for a minimum of 28 days to gain match practice following suspension and he links up with former Tudors Dean Brennan & Charlie Mapes.